Supply Chain Management SCM is a very critical part of any business. A well-coordinated SCM can improve the efficiency of the business and help in cost reduction. As information technology (IT) is being used widely across all businesses, SCM can benefit to a large extent by the use of IT. This article reviews a number of papers in this field and suggests research gaps for further exploration. The aim of this article is to review the literature on the role of IT on supply chain management (SCM) with special focus on the pharmaceutical industry and suggest possible gaps from the point of view of researchers and practitioners. 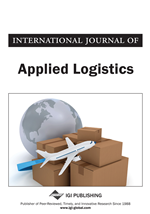 The article finds that IT has made a significant impact in improving the efficiency of SCM. But its successful implementation and collaboration with other firms is the key to success for an efficient SCM. Within each category, gaps have been identified. Using the key words, “SCM”, “supply chain management”, “information technology”, “IT”, “healthcare”, “role of IT”, “SCM of pharmaceutical industry”, “pharmaceutical industry”, “role of IT on SCM” and “role of IT on pharmaceutical industry” in a search of databases such as Google Scholar, EBSCO, Scopus and ScienceDirect, resulted in 190 published papers for review. Only papers pertaining to recent developments in SCM were considered, followed by papers involving developments in IT which affected SCM, and finally papers pertaining to pharma. We reviewed 69 papers on SCM to get insights into the recent practices of SCM, 65 papers on the developments of IT related to SCM, and 48 papers on the pharma industry. For each of the categories, new technologies and frameworks were investigated and research gaps were identified. Following is the year wise distribution of journals (Figure 1).